Access every Internet Registrar Database Worldwide! 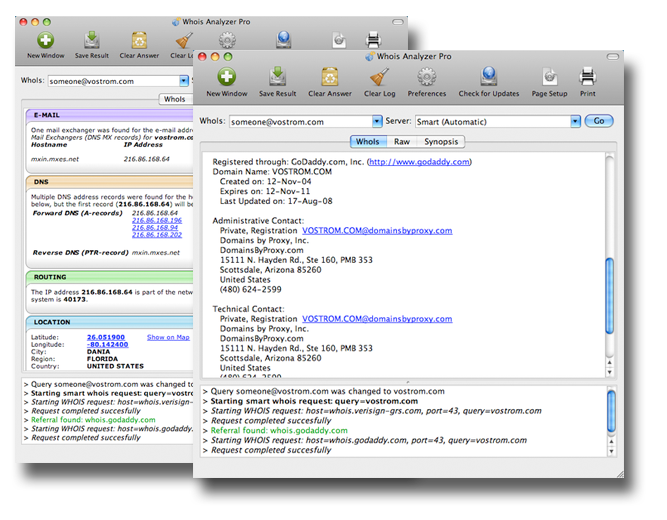 WhoIs Analyzer Pro is heralded by many as the ultimate WhoIs tool. 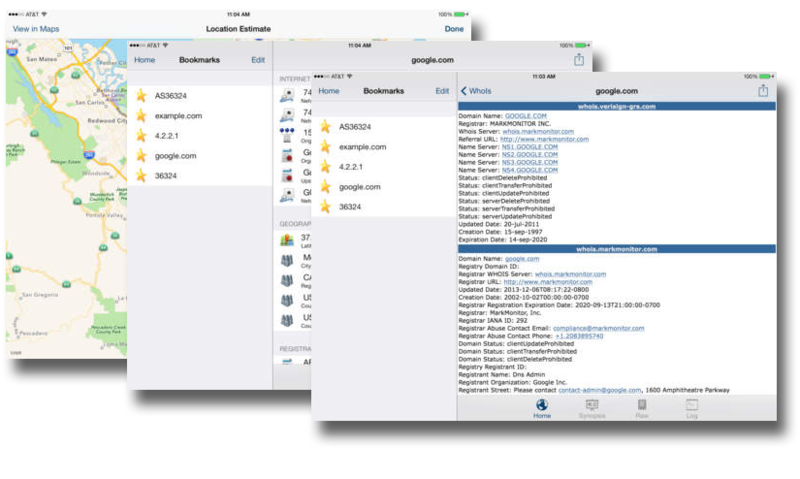 A multi-platform (Mac OS X, iOS and Windows) application, WhoIs Analyzer Pro grants you access to contact records and other Internet infrastructure information from all domain registrars and routing registries worldwide without you having to know which one to visit. 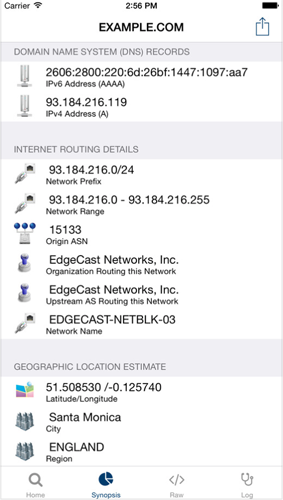 It gives accurate information for any IP address, email address, URL, or ASN (Autonomous System Number) by giving you access to contact records from every source worldwide. Plus, it discovers other interesting Internet infrastructure data from hard-to-access sources and presents it to you elegantly on both iPhones and iPads. By saving your queries as bookmarks or using the history function, you get the most "up to the minute" data every time. Users love the Synopsis view that provides geolocation of IP addresses on the world map and gives you specific Internet routing details along with information on mail servers and other Internet infrastructure related to your query. 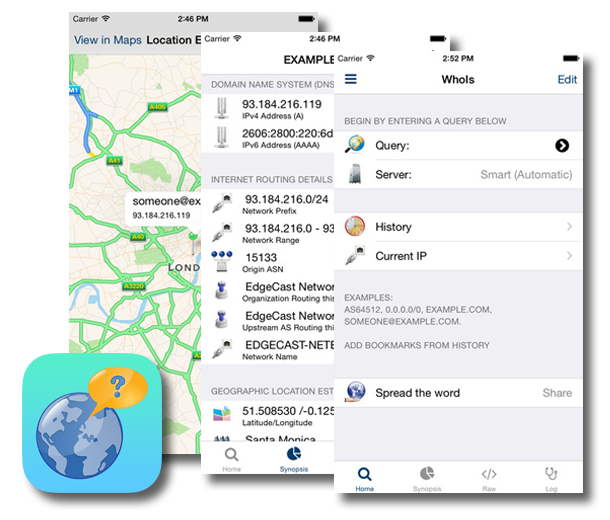 So much more that just a WhoIs tool, this intelligent mash-up of Internet research functions makes WhoIs Analyzer Pro one of the best Internet investigation tools available. Most whois tools are merely pretty faces atop a traditional whois program. Most tools simply query one server or retrieve cursory information. WhoIs Analyzer Pro is different. 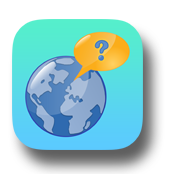 First, our program automatically determines the most specific whois database to ask and goes straight that server for the information. If that server references another server with even more specific information, we'll follow that referral and retrieve it for you. If you have a specific server you like to use instead, you can override our smart features and query your preferred server all the time, or for comparison. Generate, print, and export background information on domains, IP addresses, etc. Download a copy through the Apple iTunes Store!